So for the time being we’re going to repeat the same advice we give every time we talk about passwords. You should use a password manager, you should use a unique password for every site, you should change any affected passwords the moment you hear about a breach, and you should turn on two-factor authentication for all sites that support it. 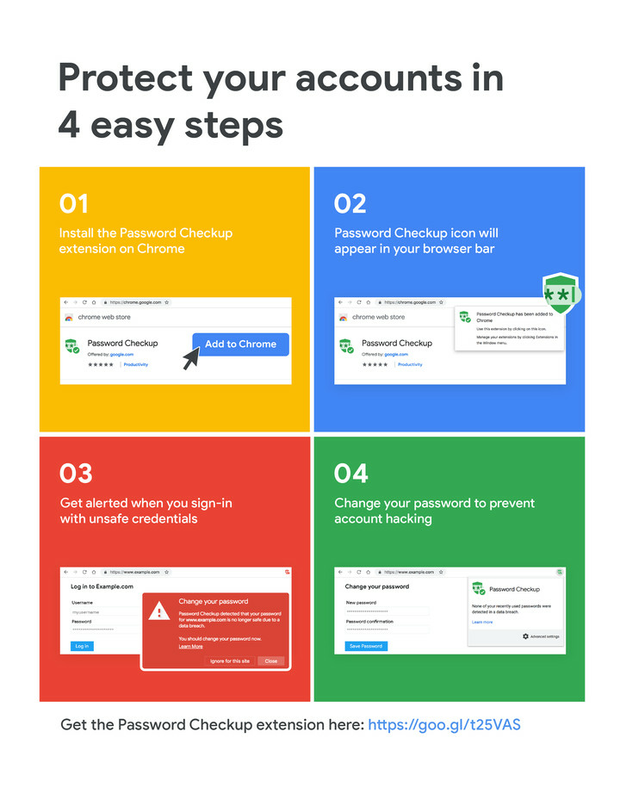 The difference, now, is that you should also consider installing Chrome Password Checkup extension.